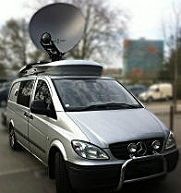 Satellite Prod open new SNG production base in France. Paris, France February 2015: The broadcast services company, Satellite Prod, is expanding its newsgathering operations by opening a base in Caen in Normandy. It will offer mobile DSNG facilities from the city. 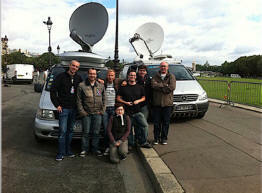 Satellite Prod already has two DSNG trucks in Paris and another two in Nantes. All five DSNG trucks offer full redundancy, 2+1 path, SD/HD, MPEG2/MPEG4 with live stand-up positions.